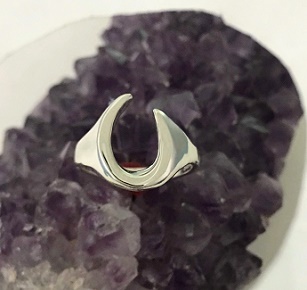 Sterling Silver freeform horseshoe ring. This abstract horseshoe is a great modern take on a classic horseshoe. Perfect for any horse lover and horse jewelry lover in your life.